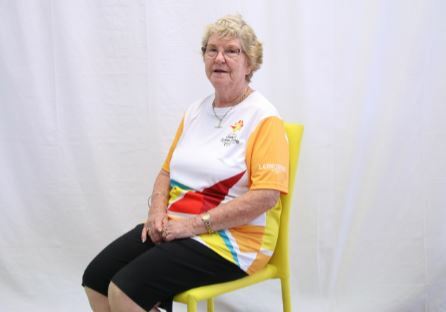 Miriam Vale’s Baton Bearer number 13 is Pamela Cawthray. She will be receiving the baton from Pauline Dahl outside the Community Centre on Blomfield Street. She will be taking the baton down Blomfield Street to Alf Larson. Pamela is a lifelong member of the Miriam Vale Community, previously involved with Miriam Vale State School P & C, Tuckshop and a Teacher Aide for 30 years supporting High School Students. She was the treasurer of St Mary’s Anglican Church for 23 years, assisting with the organisation of the Annual Flower Show. Pamela was a member of the inaugural Miriam Vale Community Centre, still maintaining an active role and assisting with the Christmas Fair. A life member of the Miriam Vale Golf Club and secretary of the management committee, Pam was successful in gaining more than $300,000 in funding from grant programs for junior golf in the region. Pam inspires others to achieve, making significant contributions to a friendly, vibrant and inclusive community. Pam was awarded the Citizen of the Year award in 1995 and Sports Administrator of the Year 2008 under the previous Miriam Vale Shire Council. “Tributes such as this do not come because of individual effort, most are achievements gained through being part of a larger group or organisation with all involved contributing to the outcome. “My selection, therefore, is a tribute to the successes of every member of all groups that I have been involved with over a period of many years for the benefit of our local community,” she said. 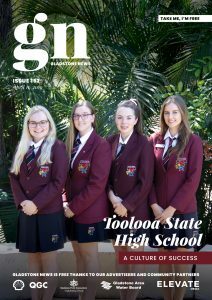 She said Miriam Vale was fortunate to have been chosen as one of the centres the Queen’s Baton will visit and she hopes that the entire community will come out in numbers to support the local baton bearers in Miriam Vale, Agnes Water and in Gladstone.